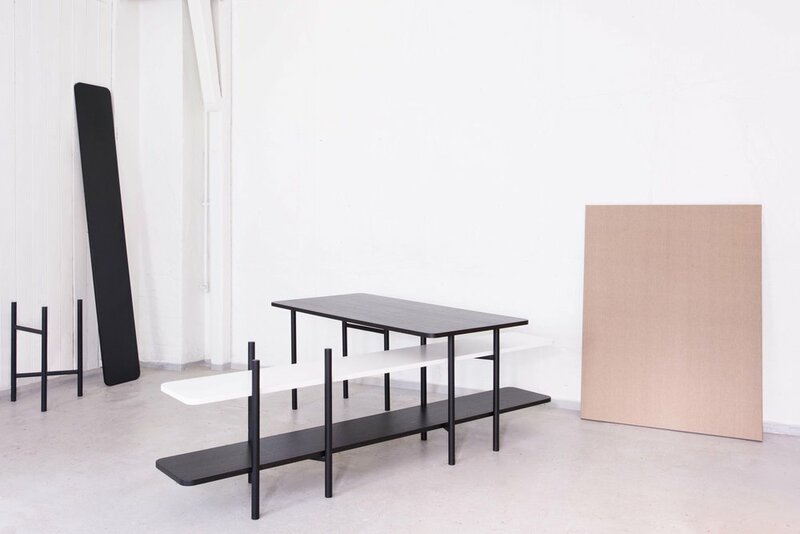 Design studio StokkeAustad and Norwegian brand Elementa have developed a new furniture system to accommodate the need to easily set up, expand and move workspaces. The central idea of the UN Divided system is a simple trestle made in tubular steel. With one module it is possible to support almost any type of table top size and shape. You can also build shelving, simple storage - and produce complete office landscapes. «Knowledge workers of today do not need loads of closed storage or complicated cable management. Simple, functional and adaptable solutions with clean surfaces is the way forward, we feel», says Jonas Stokke of StokkeAustad. The system allows for quick assembly and re-configuration as needs change. Out of the natural placement of the base grows a series of elegant furniture pieces. The graphical character of the design allows for subtle architectural definition with minimal means. 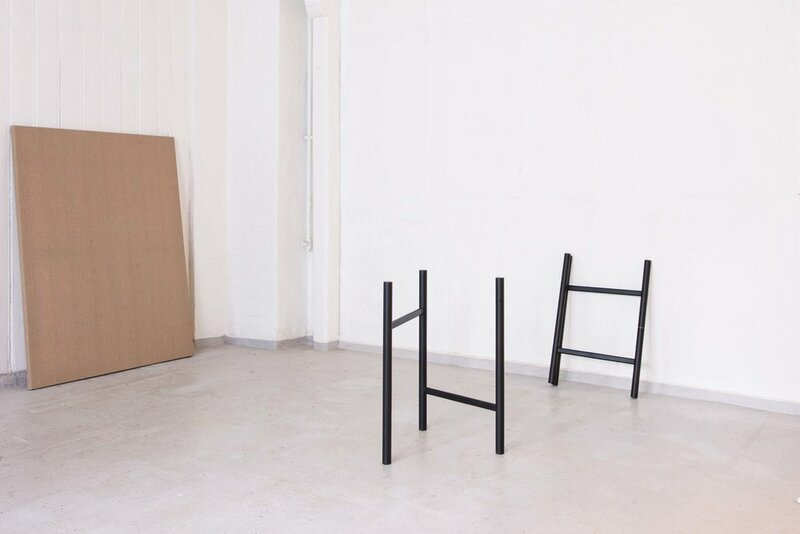 «Starting out to make a one-size table base solution, we explored a new take on the classic trestle base. Playing around with the module, it turned out to carry a lot of interesting possibilities, resulting in a diversified furniture system with a distinctive form language.» says designer Jonas Stokke. 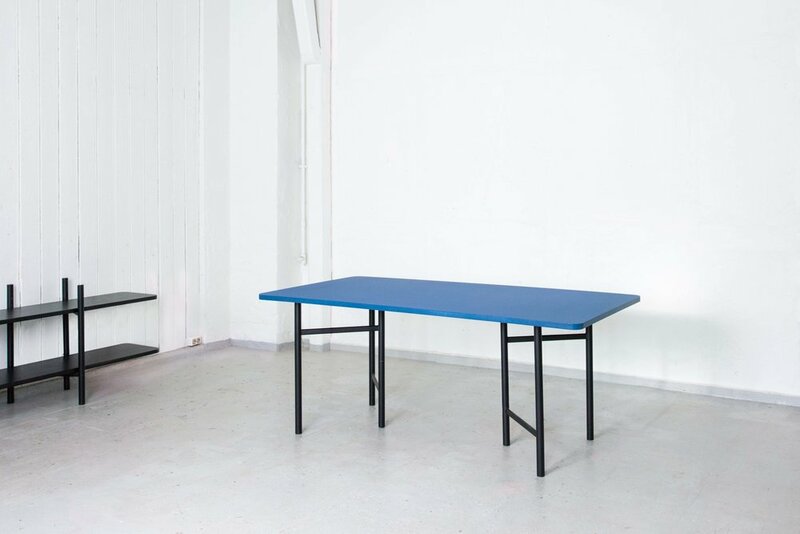 UN Divided trestles will be available both individually and as complete desks, meeting tables and shelves. Elementa is a young Norwegian manufacturer of essentialist furniture for the workspace and developed in collaboration with a new generation of Norwegian designers.StokkeAustad is a design studio based in Oslo, Norway founded by Jonas Ravlo Stokke and Øystein Austad.